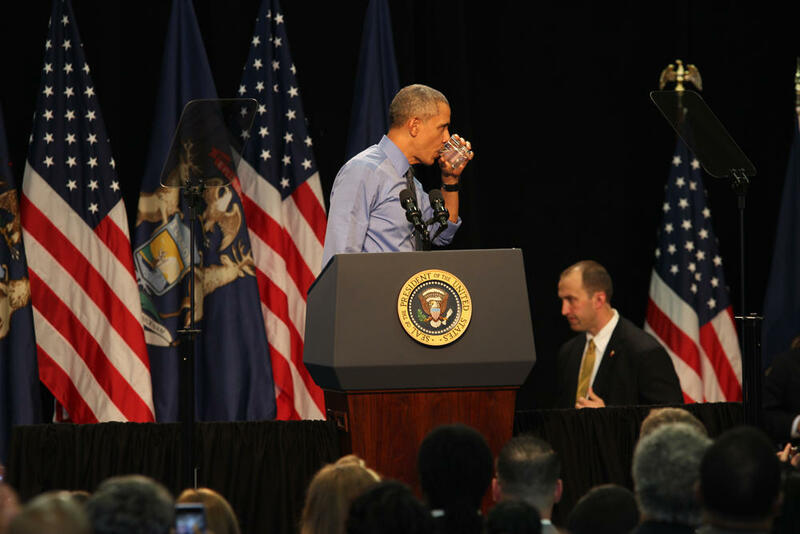 President Obama sips from a glass of filtered Flint water during a speech delivered at Northwestern High School. Obama cautioned it would take a while, two years or more, for the city’s lead pipes to be replaced. 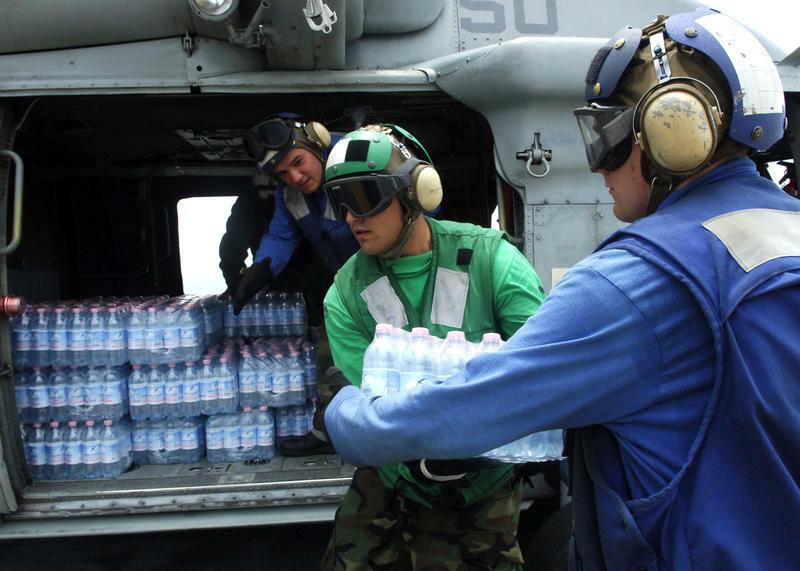 But he said he’s been assured by federal experts that filtered water is safe to drink. “I also wanted to come here to tell you – I’ve got your back, that we’re paying attention,” said Obama to a 1,000-plus crowd packed into a high school auditorium that was clearly thrilled with the presidential attention. Obama’s enthusiastic reception was a stark contrast to how Governor Rick Snyder was greeted by the crowd when he showed up. Snyder accepted the president’s invitation to address the crowd. He walked onstage alone and was met with a lot of angry shouting – evidence that many people in Flint still hold the governor personally responsible for lead contamination of the city’s drinking water. 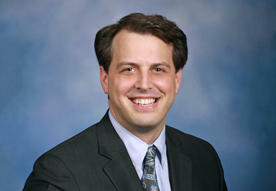 “You didn’t create this problem – government failed you,” said Snyder. “You did! You did!” yelled people from the crowd. “And I apologize and I will work hard to fix that,” he said. The governor spoke for just two and a half minutes before exiting the stage. 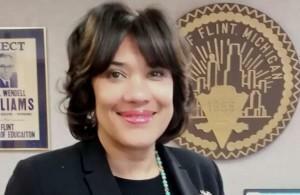 Earlier, he joined the president and Flint Mayor Karen Weaver for a briefing on the federal response to the water crisis. The president also said he hopes the Flint water crisis helps launch a national conversation on infrastructure investment, which he said has been hurt by small government crusaders.